Indian Trail Resort provides its guests with a full range of services. 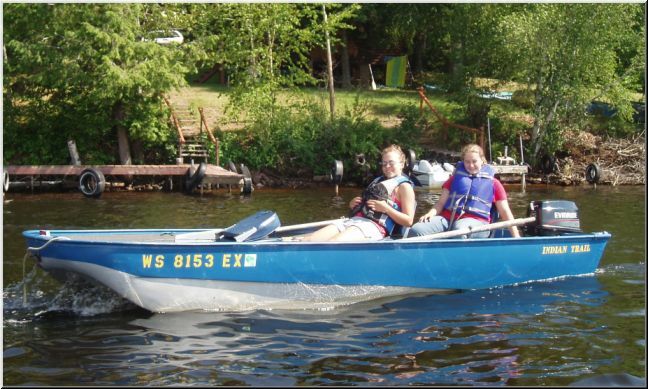 The resort has a wide selection of boats and motors available for Musky anglers to rent. Both "V hull" and "Tri-hull" in 14 and 16 foot lengths are available. Indian Trail Resort is one of the few resorts to have depth finders and trolling motors also available to rent along with their 15, 25 and 30 horse power motors (some with electric start). An Excellent boat launch is also available for those of you with your own boat along with dockside gas and oil sold separately. We also sell bagged ice for your cooler, live bait and a nice selection of Musky lures as well.